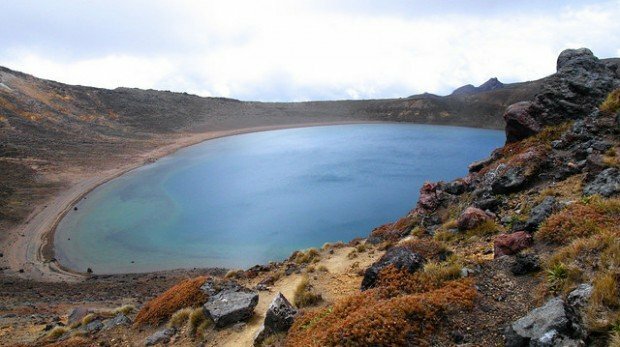 Emerald lakes, volcanic craters and lush forests. 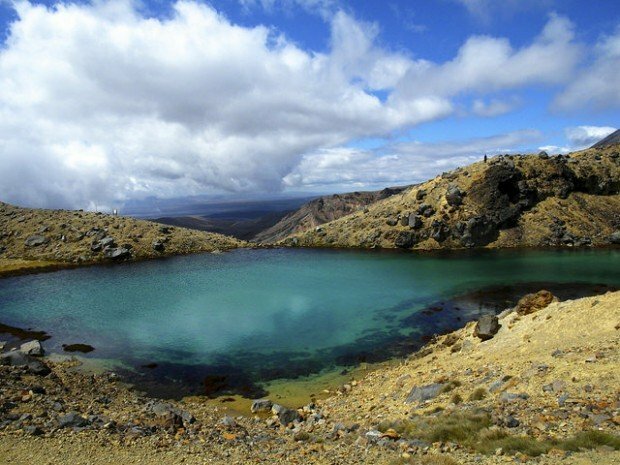 New Zealand's Tongariro Crossing is touted as one of the best day hikes in the world. New Zealand is famed for its scenic landscape – with majestic mountains, pristine lakes, daunting volcanoes, rolling hills, sandy beaches and breathtaking fjords dotting the entire country. 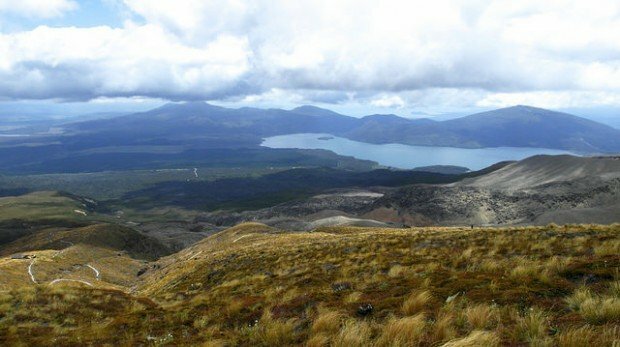 For the Tongariro Alpine Crossing to be one of the highlights of my Kiwi adventure, it must be pretty god-damn spectacular! It certainly lives up to its acclaim of being “one of the best day-hikes in the world”. On the North Island of New Zealand. You may book return shuttles from the nearby towns of Turangi (NZD 45) and Taupo (NZD 65). Although Taupo is 40 minutes further away than Turangi, I will recommend staying there as it is a bigger town with more attractions and accommodation options. 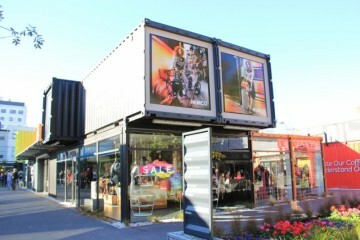 During summer (Nov – Apr). During winter, the tracks become icy and more dangerous, so guides are highly recommended and you will need additional gear like crampons and ice axe. 6 to 8 hours, depending on how many photo stops you make along the way. The steepest incline is limited to the 2nd and 3rd hour. Not much as it is a day-hike. Standard hiking pack-list will suffice, i.e. proper shoes, warm jackets (cold at certain parts, even during summer), water and some food (sandwiches/snacks). A wide variety of landscapes, ranging from volcanoes to sulphuric lakes to rugged terrains and breathtaking panoramic views, all in just a day! 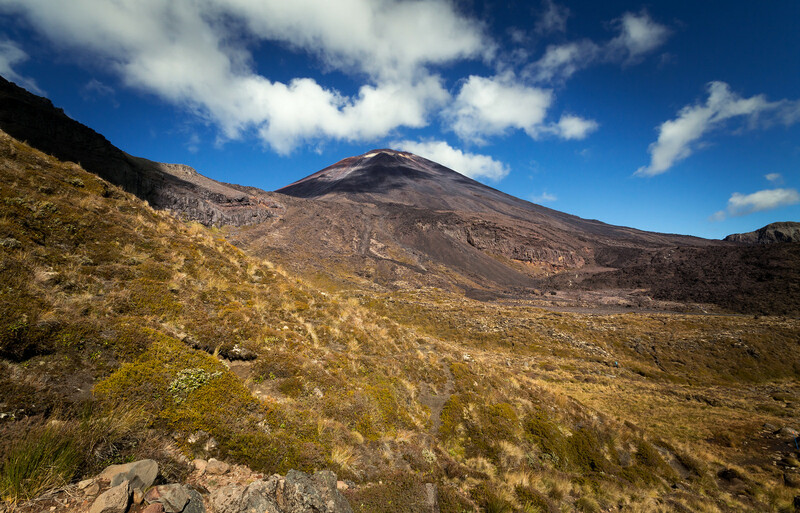 You will come face-to-face with Lord of the Rings’ ‘Mount Doom’, aka Mount Ngauruhoe, where Frodo destroyed the One Ring. How cool is that! Has your interest been piqued? If not, here are some gorgeous photos to entice you further! 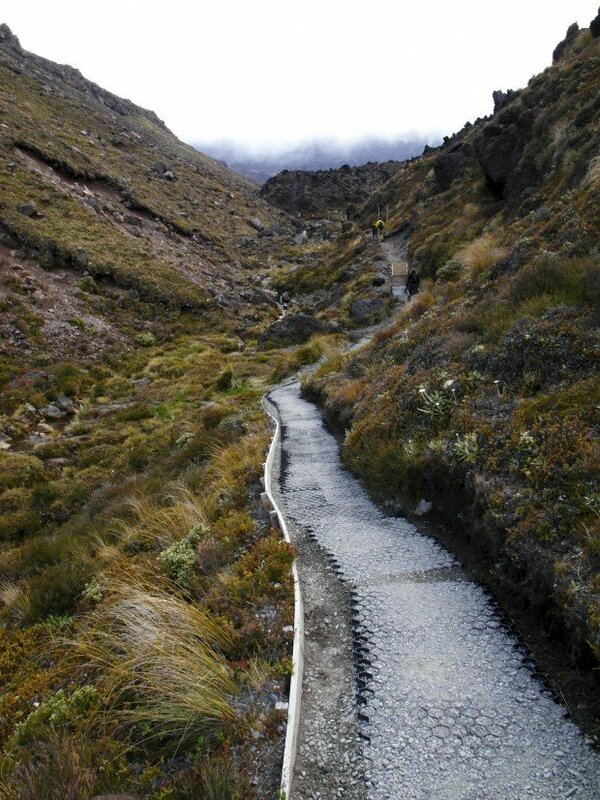 A generally flat, paved boardwalk trail takes you from Mangatepopo car park to Soda Springs within 45 minutes to an hour. It’s a good warm-up to get some adrenaline pumping and also, to shake off those sleepy eyes from waking up at 5am. At Soda Springs, take a quick break (and bite) and brace yourself for … the Devil’s Staircase! The “Devil” prefix might sound terrifying, but fret not, the name is far more daunting than the actual hike. After all, this portion of the hike mainly consists of climbing up flights after flights of stairs. Steps, as opposed to slopes, allow you to take a break and catch your breath whenever you want. Don’t get me wrong, I was definitely panting during the 300m uphill climb, but I just kept repeating to myself: “Two more flights of stairs before stopping…” And not too long after, I realised I have tackled the almighty Devil’s Staircase and arrived at the South Crater! 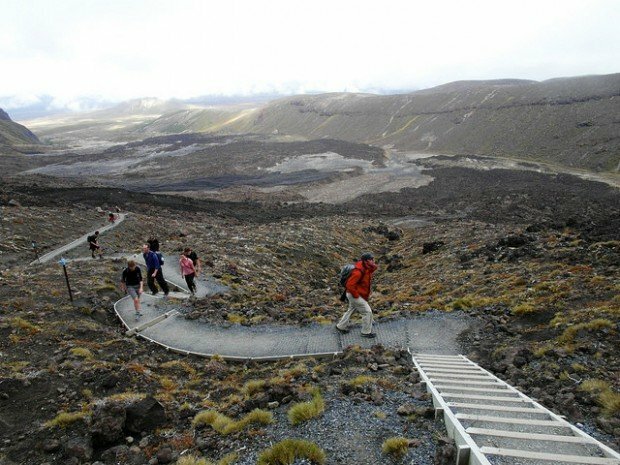 Optional: At the South Crater, you can choose to spend an additional 2 hours to climb “Mount Doom” and return back to the track. It does sound amazingly cool to tell people you have climbed the Lord of the Rings mountain! But just a tip, if you’re on the verge of exhaustion from the Devil’s Staircase, please don’t choose to do so. Congratulations! You have now reached the highest point of the hike, which means you will generally be heading downhill from here on. But don’t cheer too soon! 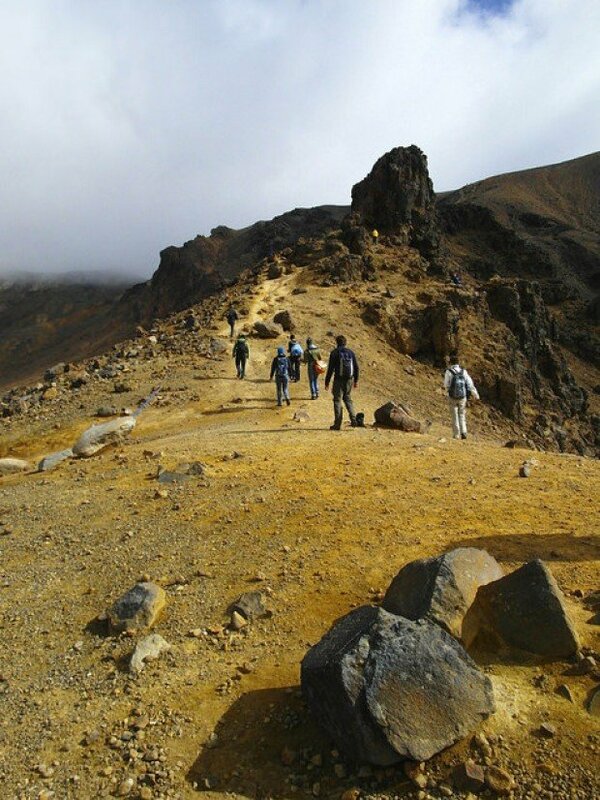 I really hated the descent down the Red Crater due to all the loose scree. Heels first, sidewards, toes first – all methods couldn’t work and I kept thinking I was going to slip and fall. However, this portion of the hike has the best scenery: panoramic views of the sulphuric Emerald Lakes and rugged alpines (the ‘traditional postcard’ shot). Once you arrive at the Emerald Lakes, the best might be over, but photo-taking opportunities aplenty. 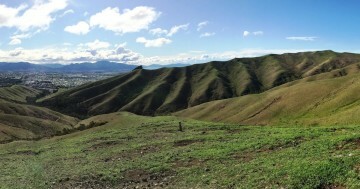 Hiking alone (without a selfie stick)? No worries! There will be plenty of fellow hikers around to help you get that perfect photo. After witnessing so many “eye-gasmic” views, you might think that it’s no longer possible to be amazed. 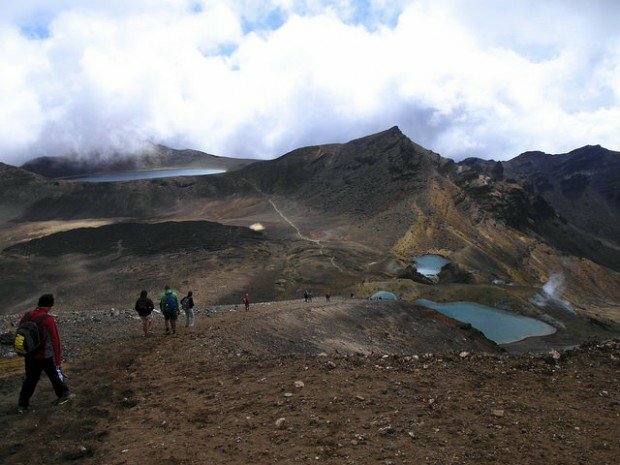 But that isn’t true, as the hike to Ketatahi car park, the end-point, still offers many spectacular views: the oval-shaped Blue Lake, vantage viewpoints of Lake Rotoaira and softer, grassier terrains! Can’t wait to see this paradise on earth? Get going now! 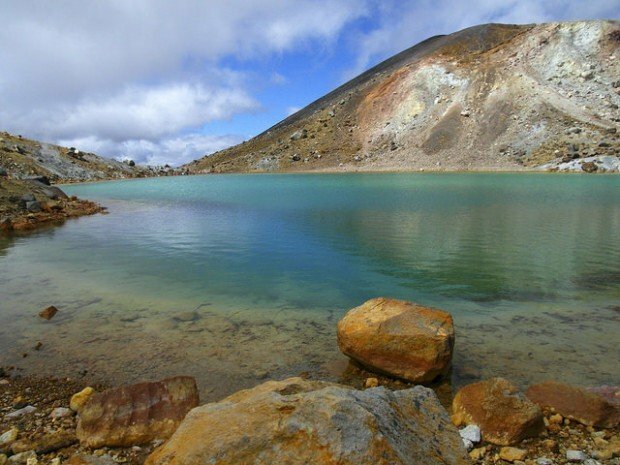 Although the South Island of New Zealand is more famous, the Tongariro Alpine Crossing is one of many reasons why you should not ignore the North Island! Yidian has an interesting name, which in Mandarin, could mean ‘one dot’ or ‘just a little bit’. He is an avid traveller, an aspiring photographer and an amateur writer. He caught the wanderlust bug while on a student exchange semester in Vienna. Ever since then, he has endlessly sought different destinations to explore, tirelessly pursued new adventures, and simply, lived the life! He writes about his adventures and thoughts at i want to be a nomad.